Are you a start-up, nonprofit, small business or Enterprise working with an in-house Salesforce expert? If not this article is just for you. We have super easy to read sections below to get set up and to get you started so take a look. 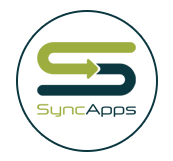 SyncApps is available for Salesforce Professional (API Enabled), Enterprise, Performance, Unlimited, and Developer Lightning Editions or Classic too. Supported "Built on Salesforce" software: PatronManager, Raiser's Edge, Apto, Propertybase and Navatar. Nonprofit Success Pack™ (NPSP) is also supported. Due to restrictions on Salesforce Essentials & Professional Editions, the abilities to look-up Salesforce information and post back from applications require adding API access to your Professional Edition organization. Salesforce Essentials does not use the API and is not supported by SyncApps. To enable the API, please call, chat or email your Salesforce rep today! Free Plan: 1 integration for Leads, Contacts or Accounts scheduled every 24 hours. If needing more features on your Free Plan, we have Add-Ons to meet every requirement for less than the price of a Netflix subscription! Please see our Add-Ons to add features and functionality to your Free Plan today for only $9.99/month! Professional Plan: Down to 6-hour scheduling and all features for $49.99/month. Enterprise Plans: Real-time integration for $99.99/month and scheduled phone support. Create your own integration in just a few minutes. See how to do it in this instructional video. Once you have created a Sync Profile (don't worry it is simple to do after watching the video above) from your dashboard and are in Step 1 of setup, if you have any questions, be sure to hover over the little green "i"s, SyncNotes, by the integration points to understand each feature. Questions? Contact our 24/7 support team who can quickly guide you on any feature or your requirements. After selecting the major features you want for your integration in each Step, be sure to take a look at one specific setup step in Step 1, if you select the feature for syncing back Campaign metrics from Constant Contact. When selecting "Sync Campaign Response", be sure to check your Salesforce layouts to make sure all fields created by SyncApps are dragged into the layouts for your Salesforce organization before continuing to Step 2. SyncApps will automatically create the fields once you select "Sync Campaign Response" in Step 1 of setup and press "Next" or "Save." Feel free to head over to Salesforce to drag the fields into each into your page layouts for Contacts and Leads in Salesforce. Built-in compliance with FINRA and SEC archived email requirements for financial advisors, brokers and hedge fund or institutional managers. A copy of each email sent is attached in Salesforce for archived email compliance purposes. Best practices for setting up your Constant Contact integration in a Trial! If using both Leads and Contacts, please create 2 Sync Profiles from your SyncApps Dashboard for both object types, Leads & Contacts. If using Salesforce Accounts select Accounts as the object type. First, head to Salesforce and create 1 Salesforce Campaign for testing purposes. If wanting to use our Filter & Segmentation feature in tandem with each Salesforce Campaign selected, just make sure to only use at least 100 test Salesforce Contact, Lead or Account records, of which some meet your criteria for the trial usage, which will pull the first 100 good records to sync on initial sync over to Constant Contact. 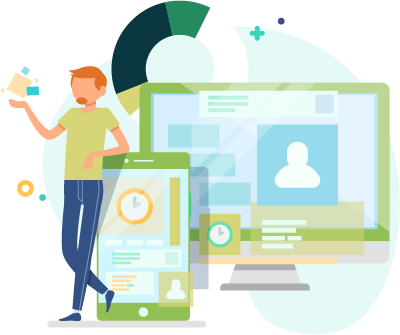 For testing, we will use our own test email, cw@cazoomi.com, which is a Salesforce Contact and easy to review for testing purposes in both Salesforce and Constant Contact. Be sure the "Email Opt-Out" field is visible on the Salesforce Account, Contact or Lead page layout. This allows for easy testing of unsubscribes from Constant Contact. SyncApps also allows unsubscribing from CRM to Constant Contact, so this feature makes it easy for Sales to unsubscribe those in CRM which translates to each being unsubscribed from Constant Contact if the "Email Opt-Out" field is checked manually. Next, on your Sync Profile page Press "Sync Now." Head back over to check your Constant Contact Lists for the 1 Salesforce Campaign synced from Salesforce which creates its own Constant Contact List. The Master List will now contain the records you placed into the Salesforce Test Campaign or those records from the Filter you are testing against the Salesforce Test Campaign. For easy testing just test your own email which needs to be either a Lead in Salesforce for a Lead Sync Profile or a Contact in Salesforce for a Contact Sync Profile. 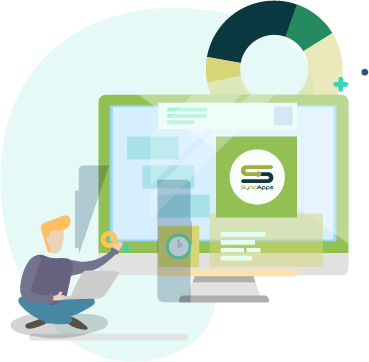 Now that you are in Constant Contact, create and Send an Email Campaign to your own email on the List which you have just synced to test how the Campaign Responses or marketing metrics flow back from Constant Contact to Salesforce. Once you have sent the Constant Contact test email, head back to your Sync Profile and press Edit. In Step 1 of the integration, select Sync Campaign Responses and then select the “Create Salesforce Campaign” feature or Activities, Notes. Please note that when the feature “Sync Campaign Responses” is selected, we automatically create the Constant Contact email metric fields in your Salesforce for marketing metrics like Opens, Clicks, Bounces, Links Clicked, and more. You just need to place each on the Salesforce layout for Contacts and Leads. Next, move to Step 2 and select the Specific Email Campaign to Sync feature in Step 2, choose the Email Campaign you just sent and then press Save. Once on the Sync Profile page, please press "Sync Now." Head back to Salesforce and check the Salesforce record's Campaign History to see all metrics on the record (Opens, Clicks, Bounces, Forwards, URLs clicked or Email Events). Double check, if needed, to make sure all fields are dragged onto the Campaign layout which are created automatically by Step 1 when you’ve selected the “Campaign Responses” feature. Check your Sync Dashboard and select Reports to review details of each Sync run test. Note: Sync on Demand is available in the Free Trial with Scheduling available on paid plans. Our 2 weeks Free Trial is packed with all the Enterprise Plan Feature with unlimited records to sync to maximize your testing using SyncApps. 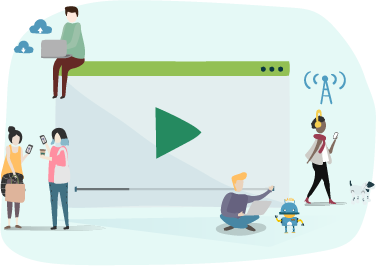 Once your testing is completed, you can remove the settings for testing and keep the features needed like Campaigns, Custom Field Mapping or Filtering. Enabling Sync Campaign Response feature is needed in Step 1 of your Sync Profile setup before fields are automatically created by SyncApps. Using the Accounts Object (Person Accounts) and need to see Campaign Metrics? A Salesforce campaign will be created for each Constant Contact event within the last 90 days. Need to see how to create an Event in Constant Contact? Check out this 3 min video. When you create an Email Event in Constant Contact, the registrant, if not in Salesforce as a Lead or Contact, will be automatically created and the Event is a Campaign on their Salesforce record. If the Contact or Lead already exists in Salesforce, then the Event is simply a Campaign on their Salesforce record. If syncing EventSpot, please note SyncApps will sync to Salesforce the Registration Date, Registration Status, Payment Status, and Guest Count all into "Email Events" field only if "Use Separate Custom Fields for Event Marketing Fields" is not checked. SyncApps will automatically create the field called "Email Events", so please place this field on the Campaign History Layout. If "Use Separate Custom Fields for Event Marketing Fields" is checked then SyncApps will automatically create each separate field so please place each field on the Campaign Member Layout. 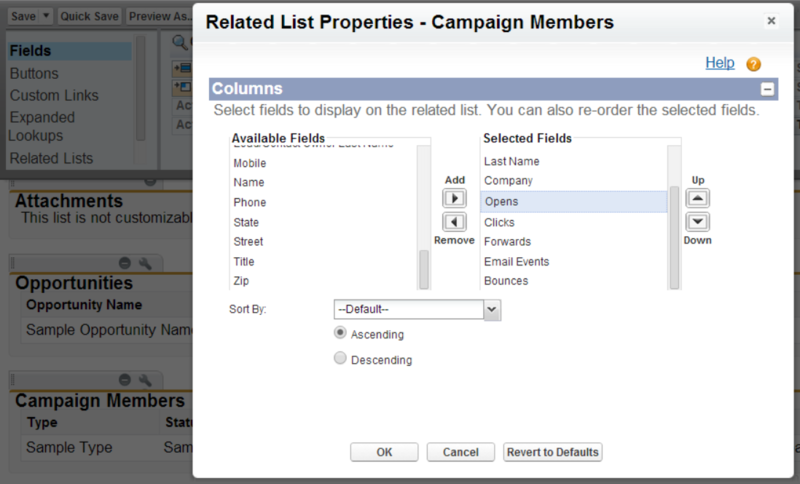 No field mapping is needed in Step 4 unless Order Total is mapped to a custom field on the Campaign Member layout. If "Allow mapping Event Registrant details to Campaign Member custom fields" is checked, you can map new custom fields to Salesforce you created in Step 4 for the Event created in Constant Contact. The example below is for using Event Marketing with a Constant Contact form to collect answers pre-event in the form of a question. After selecting Sync Constant Contact Events in Step 1, the actual field mapping for the questions on your Constant Contact form can be done in Step 4 of your Sync Profile integration. If needing to migrate Campaign Emails sent, beyond a rolling 90 days, please contact us today to enable a paid migration Add-On for this requirement. The Campaign metrics fields placed in Campaign History layout (related lists) + Email Events will bring in the "URLs clicked," or essentially the links the user clicked on in the email sent from Constant Contact integrated back into Salesforce upon each scheduled sync. Check out our subscriber's story here on how SyncApps helped them save 100s of hours per year! If you get stuck and need some guidance reach out to our 24/7 Support Team today!